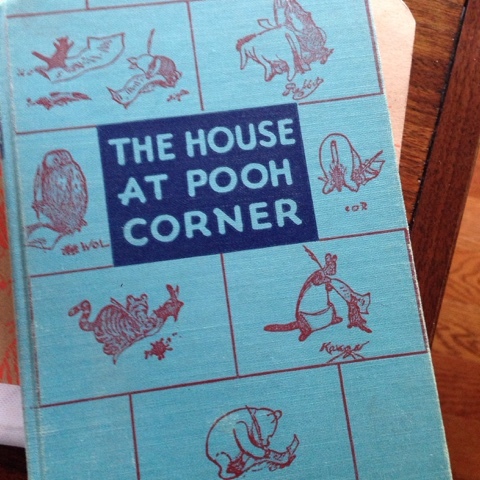 The first children's book I fell in love with as an adult but before I had children of my own was A.A. Milne's The House at Pooh Corner; a philosophical romp in the woods with stuffed animals that has real meaning. There are many versions of this book and I happen to own a vintage 1950's copy thanks to my sister-in-law's love of old shoppes. "One day when Pooh Bear had nothing else to do, he thought he would do something, so he went round to Piglet's house to see what Piglet was doing. It was still snowing as he stumped over the white forest track, and he expected to find Piglet warming his toes in front his fire, but to his surprise he saw that the door was open, and the more he looked inside the more Piglet wasn't there. 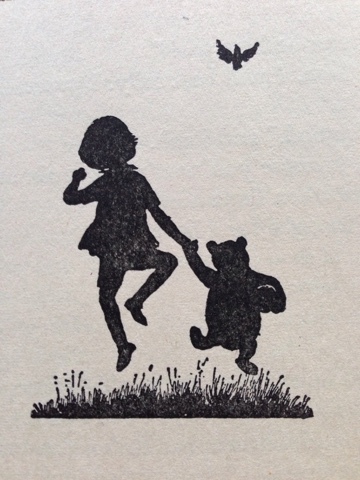 'He's out,' said Pooh sadly. 'That's what it is. He's not in. I shall have to go for a fast Thinking Walk by myself. Bother!" And then he hums to keep warm...tiddly Pom. Delightful. If you've never read this you must. With a friend, a little one or big, or by yourself, you will make new friends as you read about their adventures together.